Fantastic insight into this fantastic athlete “Eoin Lyons” in terms of hi choice of performance supplements, what he chooses to put in his body and the reasons why he chooses the supplements he does. 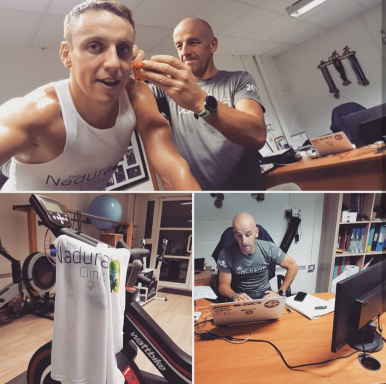 I am lucky enough to have the support of The Nadura Clinic and FX Supplements while I try reach my sporting goals and maintain a good balance between a 40+hr work week, travel, home life with my fiancé Marianne and all the training I do to be the best triathlete I can. Without the collaboration of The Nadura Clinic and my coach Mart Kirwan (Focus On Fitness) the balance I achieve wouldn’t be possible and I would more than likely lose the appetite to train by over training and not recovering. Therefore I want to spread some of what has worked for me in terms of supplements. I’ve always said if I was going to ever have a blog my opinion was my own, I will not use anything I can’t stand over and I have recently refused sponsorship because I didn’t agree (after tested use) with the companies statement of how good the product was – basically you can trust that the below is in my own words and is genuine in terms of what I have experienced. Fuel my training when required. Maintain energy levels and concentration for work or normal day to day activities. Sleep when it’s time to go to bed – this sounds odd but its really important and diet is one of the main factors to achieving a high quality sleep. The reason I touched briefly on diet is because no supplement is a substitute for a bad diet in my opinion, the same as taking the best supplements in the world and not having a good training plan won’t make you the best version of you in terms of sporting ability; to get the most out of any of the below supplements and actually see results, my diet has to be 95% minimum to allow the body can utilize the supplement efficiently. Rule #1: My number one rule is don’t take anything without clear justification for why you are taking it, everything that enters your system is your responsibility. This is the number one rule I’ve followed regarding supplements since I was first introduced to them at age 13/14 while I was swimming competitively. Protein recovery and pre training supplements were starting to come into fashion and creatine was in high popularity. Even though I had a lot of advice on nutrition at the time I avoided any supplements due to the lack of information and justification for why I needed to take them. Rule #2: Don’t waste your money – test your supplements to ensure they suit you and provide you with what you are expecting – don’t just use something because someone says you are supposed to or “this will help you loads” – have concrete results as a justification. All the supplements I talk about below have been tried and tested by me, this is what has worked for me and I mean actually worked in terms it gave me something in return against periods of time where I did not take them. Not all supplements are the same just because they have the same name ie: protein isn’t just “protein” – how it’s formed and delivered to the body is more important than the grams of protein taken – grams of protein absorbed by the body and the rate of absorption is key. When you eat protein, it’s broken down into amino acids, which are then used to help your body with various processes such as building muscle and regulating immune function. 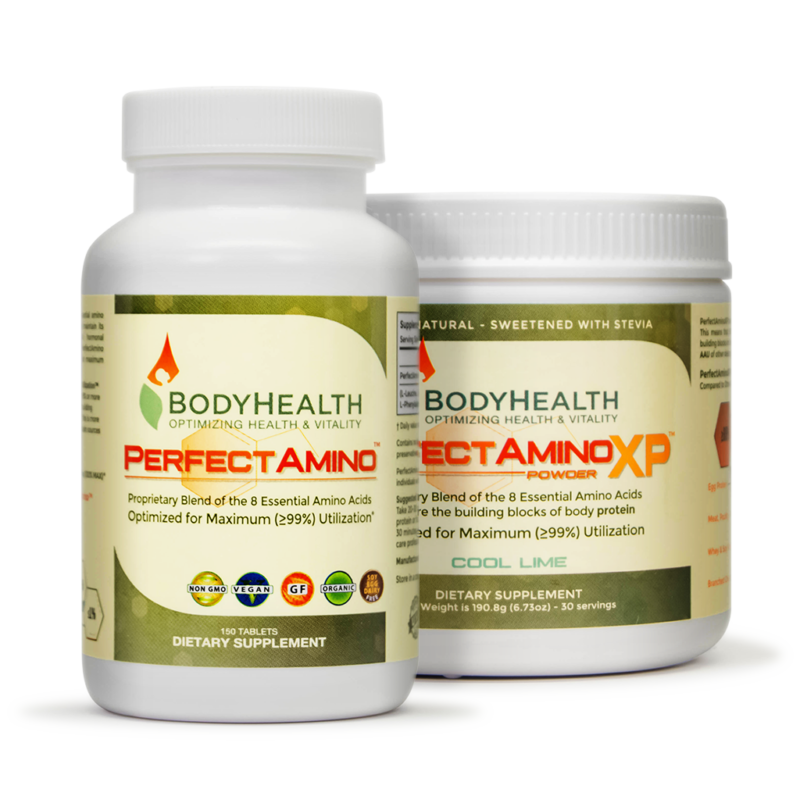 Your body has 9 essential amino acids and 21 in total – Perfect Amino delivers all 21 amino acids to the body within 30 minutes of consumption. The sales line: “Absorbed at 99% with virtually no metabolic break down.” This is compared to a whey protein that has an 18% abortion rate – therefore you have to take in over 5 times the labelled protein quantity of whey protein to get the same delivery of perfect amino. I gain weight pretty fast so what I also like is the avoidance of a vast amount of calories to consume enough protein to feel recovered – I don’t want to feel full and not be able to eat normal food – I take my Perfect amino in tablet form with no insulin spike and go eat as normal – not avoiding food because I’ve consumed x amount of calories in a protein recovery shake. The recovery element is key; when we exercise we essentially rip the muscles, this supplement targets the specific amino chain that repairs the muscles or “recovers” the muscles to allow the athlete approach the next session with reduced stiffness and fatigue – therefore allowing a higher rate of performance consistently. Perfect Amino is actually developed/made by Dr David Minkoff who is a 42 time full Ironman finisher. David is an interesting guy; in his Bio he says “It was tough but that’s why I decided to continue to compete. I like to put myself on the edge.” Chris McCormack (aka Macca) said in his book “I’m here to win” that he felt the was real reason we push ourselves to the boundary is because it’s at that point you learn most and get the most release from sport. Having a doctor that is in a similar wave length developing a supplement that allows you to return to that boundary regularly is invaluable. This product is made by doctors, myco therapists and biologists. The product was developed to increase Vo2 Max & O2 Saturation, reduce lactic acid production, improve stamina & reduce fatigue. 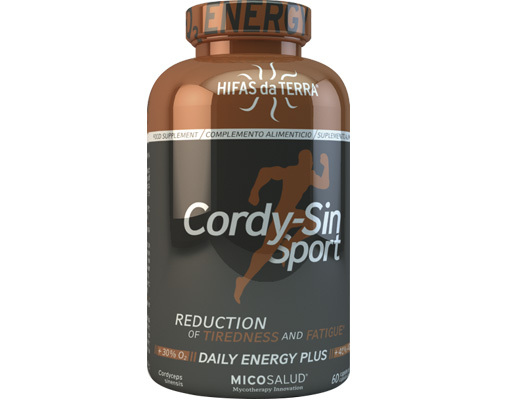 In this instance it is a perfect supplement for an endurance athlete and in particular a triathlete. I’ve never really delved into a Probiotic before, it was a recommendation from my performance nutritionist at The Nadura Clinic based on the simple fact that when asked do I ever get sick, I said yes, I get the usual January February cold and a throat infection in February March that often goes onto my chest and drags out while I try train through it. The difference this January/February/March is massive, no sickness. My basic understanding is that the digestive track is in some terms our boundary wall against most forms of “bad” bacteria which can make you sick. A probiotic is “good” bacteria that helps to support digestive health by protecting the digestive track (layering with good bacteria) and support the immune system. Again; I know people will have heard of yogurt type probiotic’s so the next question is naturally what is different & why use NDS. This is not trying to be something it’s not; this probiotic is designed to provide the best care for your digestive track by medical doctors. The product is made in such a way the delivery is at the forefront and again how well the body can utilise the good bacteria. There are no additives or extras just add water leave for 15minutes and consume. This is not 1 shoe fits all, not everybody needs every strain of bacteria, NDS have a variety of ranges to suit different people and even different types of athletes. Performance NDS has been tested to show and increased resistance to stress in the gut during endurance exercise. 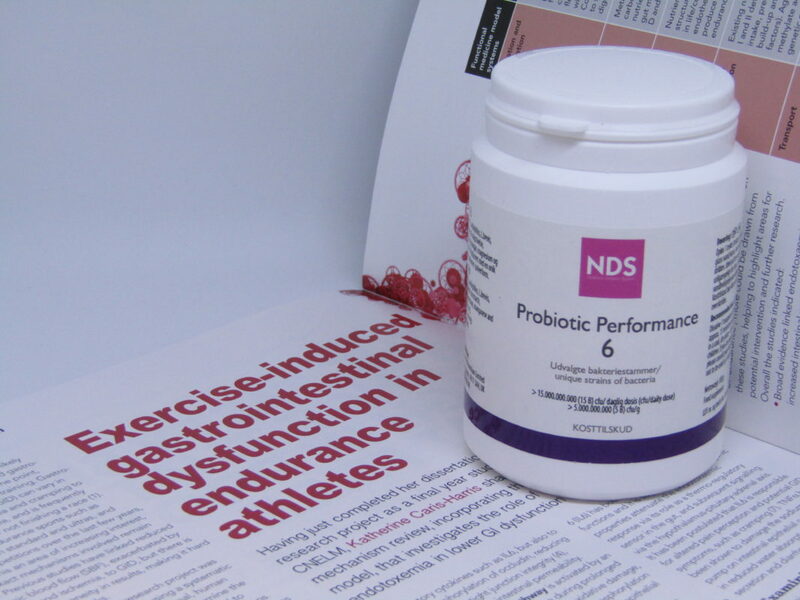 Many people have experienced runner’s diarrhoea or an uncomfortable upset stomach in endurance sports; Performance NDS helps me to avoid that by reducing inflammation and stress experienced in the gut. Consistency in training; if I avoid stomach problems and sickness I in turn get a more consistent run at my training. I work 40-45hr week and travel with work so when I train I expect myself to be able to produce what’s required; when my training hours are low compared to many of my competitors, consistency and delivery of training is of huge importance. Final note on NDS probiotic; this is the one thing I have recommended everyone I know to take, not just sports people but anyone that wants to take care of their body from a pure health perspective. I’m not the best athlete in the world, I work a decent work week that involves travel, I have a house (mortgage), commitments to my fiancé, fluffy children to look after – so when I say “I want to be the best I can with what I have to work with” I won’t leave a stone unturned within my capabilities. The Nadura Clinic and Fx Supplements have been good to me and I am happy to put my backing behind these supplements to support my training program though Focus on Fitness as they help me to be the best I can with what I have to work with; hopefully come World Ironman 70.3 Champs that will be enough. Anyone looking for more info: drop a comment and I will do my best to answer.